Photo: Capital of Australia, Canberra. 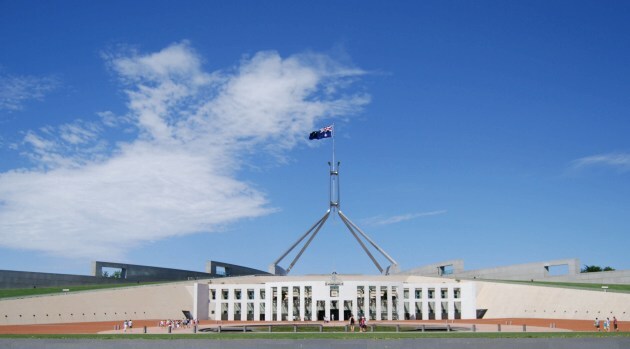 Canberra, in the Australian Capital Territory, is where the seat of the Australian government resides. Sydney is the largest city in the country with a population over 4 million and is the capital of the state of New South Wales. Melbourne has been voted the number 1 place to live in the world for a number of years. English is official language of Australia. Only a few words vary in pronunciation and usage throughout the country. The accent is called ’Aussie’. Australia is very much a cosmopolitan country. All the major religions and many sects are represented here. A.C. electrical power is 220-240V at 50Hz. Plugs have 3 flat prongs that form a triangular Y shape configuration. 9 am to 4 pm Monday to Thursday. 9 am to 5 pm Fridays. Some have extended hours, including Saturday mornings. Most Banks will exchange most foreign currencies, and foreign currency exchanges can be found at Sydney Airport and popular tourist spots such as Martin Place, CentrePoint, and Circular Quay. Open 9 am to 5 pm Monday to Fridays, except public holidays (see below). Recent changes by state and territory governments have changed the length of time Daylight saving will run. They have been extended from the 1st Sunday in October to the 1st Sunday in April, beginning in the Australian summer of 2008. This includes New South Wales, ACT, Victoria and South Australia. * Additional, ** Not State Wide. 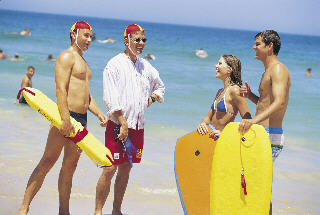 Extensive information about Australia Public Holidays can be found here: Australia Public Holidays. Note: Seasons are reversed in Australia from the Northern Hemisphere. For maps of city facilities with wheelchair access Sydney City Council. 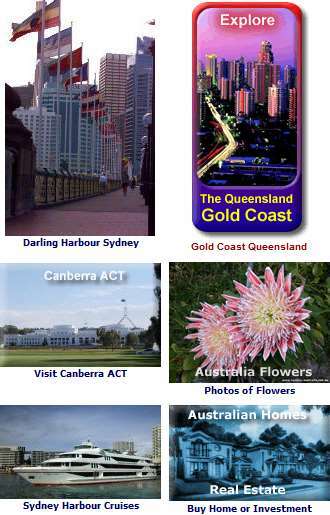 Australian White Pages - www.whitepages.com.au. Road Safety for Overseas Travellers. Driving Safely in NSW - Road Rules..
You can claim a refund of the goods and services tax (GST) and wine equalisation tax (WET) that you pay on goods you buy in Australia. This applies to goods you take with you as hand luggage or wear on to the aircraft or ship when you leave Australia. Finding Sydney Jobs - Changes in government policy has made it easier to get work visas for the skilled and backpackers. Notes presently in use are $5, $10, $20, $50 and $100 dollar bills. Coins are 5¢, 10¢, 20¢, 50¢, $1.00 and $2.00. See current exchange rate for the AUD Currency Exchange Rates.